Raleigh started his career as a newspaper illustrator and then became known for his magazine illustrations of fashionable society. He did a famous series for Maxwell House coffee with scenes of lavish Southern banquets. 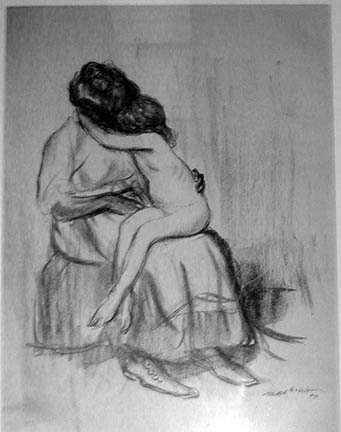 Raleigh, Henry, “Mother and Child,” Westport Public Schools Digital Collections, accessed April 23, 2019, https://collections.westportps.org/items/show/590.